Today, 13 June is the 150th anniversary of the birth of William Butler Yeats. The day still resonates because Yeats’s life did not so much terminate as simply enter a new phase upon his death in 1939. In Auden’s famous phrase, he “became his admirers” and was “scattered among a hundred cities.” This is no exaggeration. Witness the extraordinary Yeats-generated energy in Irish poetry, the continuing vibrant presence of the insistently Irish poet throughout Europe and the Americas, the flourishing Yeats societies in Japan and Korea, and the recently announced International Yeats Society. The phenomenon of Yeats’s enduring life resolves the contradiction he posed between perfection of the life and perfection of the work. He is still alive because his work remains vital. He had the magical ability to form words into a living organism that can continue on its own long after the poet’s death. 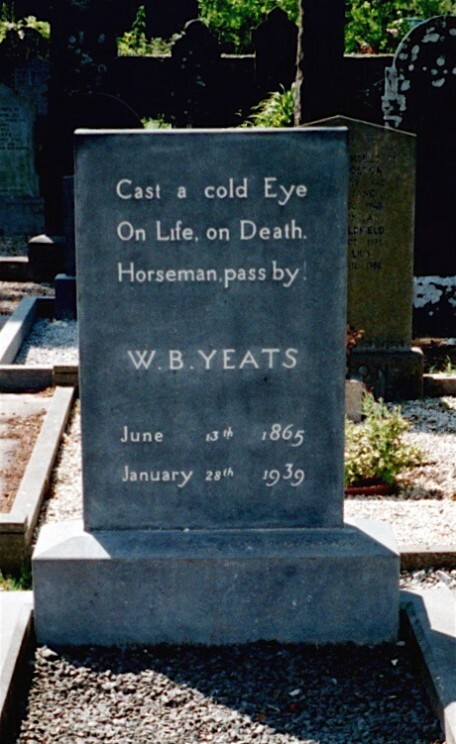 A sense that he would continue to live through his poetry may explain the command in Yeats’s epitaph to cast a cold eye on both life and death. The poetry is what matters, and it transcends the poet’s life and death. Yeats’s continuing vitality reflects the fact that he was one of those writers Lionel Trilling described as “repositories of the dialectic of their times”. They continue to find readers long after their deaths because they contain “both the yes and the no of their culture” and are thus “prophetic of the future”. War and violence are a part of Yeats’s poetry because they were a part of the dialectic of his times, but the violence of “The Second Coming” is located in the imagination, and poetry itself is intimately involved with violence. Indeed, Wallace Stevens defined the nobility from which poetry arises as “a violence from within that protects from a violence without….the imagination pressing back against the pressure of reality.” Seamus Heaney locates this “redress of poetry” in its use of language, rhyme, rhythm, meter, and stanzaic form to create or suggest an alternative–more noble–reality. As Yeats’s 150th birthday elides into the 100th anniversary of “Easter 1916”, it is time to read his 1916 poem in the context of his subsequent plea for healing sweetness in “Meditations in Time of Civil War”. In the midst of war’s havoc, Yeats notices bees building near an empty stare’s nest in the crevices of his tower. Lamenting that ‘We had fed the heart on fantasies, / The heart’s grown brutal from the fare”, he prays: “O honey-bees, / Come build in the empty house of the stare.” If we see the ‘terrible beauty” of 1916 as a step toward honey bees building in the empty house of the stare, the combination of these two iconic poems fulfills the promise of Yeats’s 1901 declaration that “the end of art is peace.” Seamus Heaney’s adoption of this same phrase in “The Harvest Bow” is another reminder that Yeats at 150 is alive and well. Featured image credit: Letter written from William Butler Yeats at Ballinamantan House, Co. Galway, Ireland, to Ezra Pound, 15 July 1918. Public Domain via Wikimedia Commons. 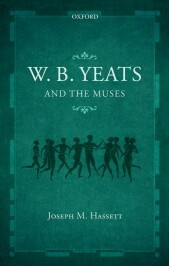 Joseph M. Hassett is the author of W. B. Yeats and the Muses, which was published by OUP in 2010 and will be issued in paperback this June. He is a graduate of Harvard Law School and holds a Ph.D. in Anglo-Irish literature from University College Dublin. He practices law in Washington, D.C. and writes and lectures extensively on literary subjects. He has recently curated two library exhibits: W. B. Yeats and the Context of His Letters at St. John’s College, Oxford, and W. B. Yeats and His Muses at University College, Dublin.